Yikes, 2019 is already seeing some interesting beefs. We had Soulja Boy saying he had the best comeback of 2018 over Tyga, and Burger King trolling McDonald’s in the UK. 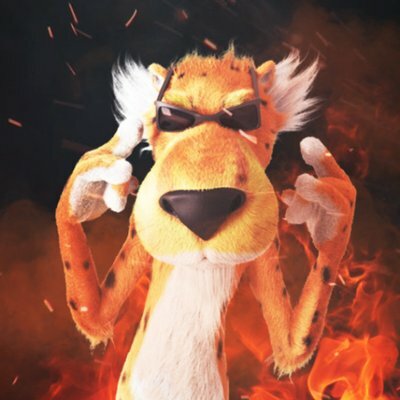 Now it looks like the famous face of the Flamin’ Hots brand, Chester the Cheetah, wants all the smoke with Doritos because he dropped a diss track. Still wondering where this beef came from? Well, remember when Doritos dropped their new Doritos Flamin’ Hot chips and everybody and they momma was in stores searching for them? Well, I think Chester took offense. He calls out Doritos for taking his style and even lets us know Cheetos is bringing back Flamin’ Hot Asteroids anyway! Do you think Chester has a right to be angry? Or do you think Chester is hating and not letting Doritos have their moment?